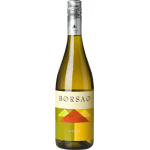 The Borsao Selección 2018 (£66.16): a red wine from Campo De Borja produced by Bodegas Borsao based on 2018 grapes. 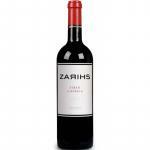 Uvinum users rate this red wine with 4 out of 5 points. - View: cherry red, violet hues. 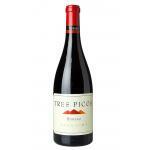 - Nose: ripe fruit, floral and underbrush tones. 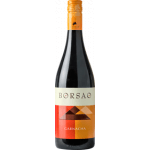 - Boca: bodied, sweet, spicy, mature tannins and a complex and long aftertaste. GRAPES: 70% Grenache, 20% Syrah, 10% Tempranillo. AGEING: fining with egg albumin and static cold stabilization. PREPARATION: cold maceration for 3-4 days and 10-12 days in total. Fermentation of each variety separately in stainless steel at a controlled temperature between 22 to 24ºC. PAIRING: stuffed eggplant, pasta with meat sauce, vegetables, grilled red meats, pates, rice with meat, sausages, grilled turkey and grilled vegetables. 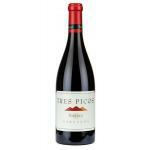 Rich, plum and red berry fruit with a touch of spice on the nose. Balanced yet concentrated red fruit mingle with darker spice and chocolate characters to give weight and layers to the palate. Plump ripe tannins add grip to this classic style of Garnacha. - View: intense and pure ruby ​​color, with sparkles and violet edges. A wine with a high layer and a nice cherry colour. Clear notes of toffee.Quite sweet. 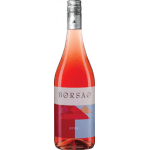 The Borsao Selección was far better than the food. My partner loves this Campo De Borja. Cherries, strawberries, anise, sweet, friendly. If you want to buy Borsao Selección 2018, at Uvinum you will find the best prices for Campo De Borja red wine. Buy it at Uvinum at the best price, via your computer or your mobile device. We bring you the largest catalog of more than 59.000 products converting Uvinum this way into a leader in Europe thanks to more than 38.000 customers enjoying Uvinum.